Tires are an extremely important part of your vehicle, since they’re the only parts that actually touch the ground. They also help make the car accelerate, stop, and turn. If one of your tires is damaged, then your car is out of commission. To help prevent this from happening, our dealership in Albuquerque, NM, offers a complete tire shop with the repairs or replacements you need to keep driving around the area. 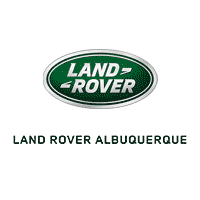 Read all about our services at Land Rover Albuquerque below, and don’t hesitate to contact us if you have any questions. What is Tire Dry Rot? From the get-go, every Land Rover model is outfitted with specific tires to provide quality performance and comfort. There are certain characteristics that make up a good tire, including traction, tread life, and comfort and rolling resistance. There are many brands that encompass these features, like Continental, Michelin, and Bridgestone. But no matter what, we’ll provide your vehicle with the right set of tires to give you a great driving experience. However, sometimes the unexpected happens, like a puncture in one of your Land Rover tires or low tread wear. 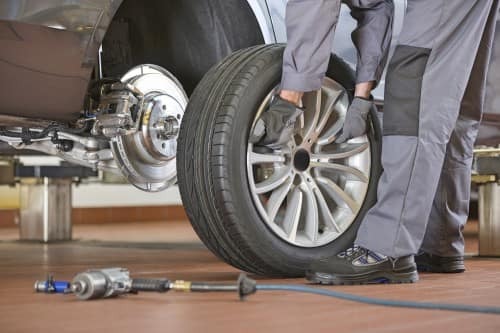 If you need a repair or a replacement, or even just a simple tire rotation, our dealership can provide whatever type of tire service your car needs. We also provide 24-month road hazard coverage that includes flat tire repair. Along with tire repairs and replacements, we offer other extensive services in our state-of-the-art facility. Whether you need an oil change or engine repair, our certified technicians will use only genuine parts to get your vehicle in quality condition. When your vehicle gets repaired, there are many hotspots throughout Albuquerque that you’ll want to check out. One of them is the ABQ BioPark. It includes a zoo, aquarium, and botanic garden. Visit to see all kinds of plants and animals, or check out any of their special events throughout the year. You can also visit Cliff’s Amusement Park for a fun day of rides, games, and food. Feel like you’re an astronaut on the Falling Star, get dizzy on the Musik Express, or cool down on The Big Flush. Spend a day with friends and family, or have your next field trip or birthday party there. If you live near Albuquerque and want more information on our tire shop, or need service completed, either call us or schedule an appointment online. Give our team at Land Rover Albuquerque some info on your vehicle, including the type of work you need done, and we’ll confirm a day and time that works best for you. Don’t wait. Schedule service at our tire shop today!